You're listening to Lifelong Learning on ReachMD. The following program was recorded at the 2018 annual meeting for the Alliance for Continuing Education in the Health Professions. Here is your host Alicia Sutton. Alicia Sutton: Welcome. 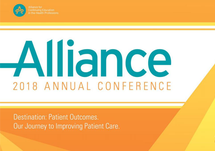 We are broadcasting from the Alliance for Continuing Education in the Health Professions annual meeting in Orlando and I have two guests today who are going to help us understand more about what's coming down the pike on MACRA and the new quality improvement CME activity. Please introduce yourselves. It's good to see you both again. Andy Rosenberg: Great to see you as well. Thank you. I'm Andy Rosenberg. I serve as Senior Advisor for the CME Coalition which is a stakeholder group headquartered in Washington D.C. that focuses on driving policies that help the CME enterprise. Alicia Sutton: Terrific. Good to have your input today. Tom Sullivan: I am Tom Sullivan, President of Rock Point Medical Education Company and also founder of the CME Coalition. Alicia Sutton: Great. Good to have you both here today. So, just in a nutshell for our audience, kind of remind us what MACRA is. Andy Rosenberg: Sure, I'd be happy to. It was in 2015 a law was passed called Medicare and Chip Reauthorization Act, the bipartisan legislation that essentially seeks to move reimbursement for doctors under the Medicare program from the traditional fee for service methodology more to a value-based means of reimbursement. So, physicians are increasingly going to be incentivized to meet certain quality measures that CMS designates as improvement activities that meet certain categories of reimbursement and, in a nutshell, what doctors need to take out of it is that CMS has now created these targets for them to try to meet. These activities for them to try to accomplish in which case they get an enhanced reimbursement from Medicare. Alicia Sutton: Got it. So, what's happening now in 2018 is that there is this quality improvement framework for MACRA that we build education around. Andy Rosenberg: Yes. So, essentially last year our organization along with a number of other stakeholders was instrumental in getting CMS to recognize a new improvement activity for CME activities that improve clinical practice. It is an exciting opportunity for those who are in the CME space because what it tells doctors is "doctors you're going to start to be rewarded by Medicare for taking these courses and doing these activities that will improve your practice." Alicia Sutton: That makes sense. Tom, your organization obviously experts in designing education. Tell us about how you break that down. Tom Sullivan: As a CME provider, the CMS has a list in the improvement activity and it's on the ACCME's homepage as well. 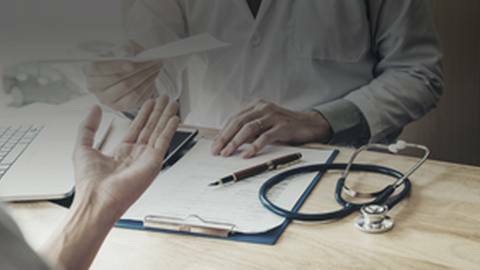 There's a list of criteria in which an activity has to meet in order for a physician to claim or a practitioner under a certain size billing to claim back to CMS that they've participated in this activity. When you're designing these activities, one has to have a needs assessment and it could be a personal needs assessment on a doctor, it could be a global health needs assessment, but something that there is a bona fide need for. What is the goal of the program? What are you trying to improve? So, look about your education programs. A lot of our education programs show what they are trying to improve. The key is what is your instrument or what are you doing in order to show that you've done improvements. You're not only just trying to improve but you have to show some improvement. This does not have to be a fancy program. This does not have to be overwhelming. For instance, if you're doing a performance in improvement activity already, this would automatically qualify. It you're doing a just a regular education program, the key for education providers is how can I maybe part of my audience participates in the improvement activity portion of it. It doesn't have to be everyone. Maybe they look at the ten records before, the ten records after, what was the measure of improvement. The key is you want to teach physicians to become actively involved in their data. How do they look at their data. How do they do these improvement activities. These improvement activities, by doing this, you also can use that same work that you're doing to show I'm meaningfully using my EMR system. This all of a sudden qualifies for certain portions of the advancing care information credit that's also a part of this. I'm also looking at quality measures. Maybe I improved the HbA1c back from 9 to 7 on some of my patients. That can also count towards quality. So, what we're basically doing is teaching physicians and practitioners how to use their data to improve quality. They are getting credit for not just the education but by doing the education it's helping with their reimbursement to move through the whole system. Alicia Sutton: Excellent. Is there something on these courses themselves that denotes that it can qualify for this? Tom Sullivan: There will be several accrediting organizations are developing not standards but developing recognition criteria. So, you'll have some recognition criteria, either a logo or something like that, to be able to put on…it hasn't been developed yet because this just came out, but it will be sometime this year. Alicia Sutton: No, that makes sense. It makes it easy for the clinician to figure that out. You were referring before to PI, this sounds very much inline with pretty traditional except now it's focusing much more in a way that is meaningful. Tom Sullivan: Well, I think there were a lot of constraints in PI previously that prevented physicians from participating. A lot of it had to deal with the hours that they had to put into it, the amount of work that was done and the fact that there were no reimbursements and none of this counted toward their MOC credit. There was really no benefit for the physician to do PI-CME other than just to say he had his 30 hours was done for the state. This now aligns PI with MOC Part 4 so at the same time they're doing their CME, not the PI, but they're CME, they can also qualify for MOC Part 4 and qualify for an improvement activity and a bonus of that is i.e., by doing that they're actually qualifying for other pieces of what the quality payment program is wanting them to do. In addition, MOC Part 4 by itself is also an improvement activity. By having these two improvement activities combined, you end up with a higher level of reimbursement. It counts for 40 points as opposed to 20 points. Alicia Sutton: Right. It seems also like an environment now where clinicians will be driving some of that education to be built. They need this. They want this in order to get reimbursement. Tom Sullivan: It's been a huge challenge for health care systems and for physicians to know how to implement MACRA. A recent study came out this weekend which showed that 70% of physicians just don't understand, aren't interested in it, were kind of scare of it, and the verbatims were pretty scary as far as what people put in their verbatim comments. Part of that is because they tried to build something without teaching someone how to do it. It's sort of like hiring a bunch of people to work in your factory and not offering them any training on how to do it. Right? Can you imagine that? Alicia Sutton: Operations on the fly. Andy Rosenberg: The good news is we are here to stay and if you're performing a good service by promoting this information and getting it out there, that things are coming together in a harmonized way like Tom was describing. It's going to be relatively easy for doctors and other practitioners to meet the CMS expectations and to enhance their reimbursement of their Medicare. So, the good news is that things are moving toward a harmonized, a less siloed approach, meeting these physician requirements. Tom Sullivan: It's sort of like now they have recognized if we train people we're going to get a lot more of it. Alicia Sutton: Who would’ve thunk? Exactly. Andy, tells us about the CME Coalition and the role that it played in helping form this. Andy Rosenberg: Great, thank you. The CME Coalition has about 45 stakeholders in it that are everyone from some of the non-profit organizations but on CME, programming to for profit companies like Tom Sullivan's to commercial supporters. So we represent this broad sort of community of stakeholders in the CME space. With Tom's strong leadership, we pulled together a working group that met this morning for breakfast as a matter of fact, we're constantly meeting, of a number of different organizations including some of the major accrediting bodies, the Alliance, some of the other physician groups as well as some of the members from our own organization to really drive greater awareness of CMS for the importance of creating an improvement activity under MACRA for CME. There wasn't one prior to right now. We helped to lead that charge. It was a real collaborative effort and involved hundreds of comments through the rule making process at CMS but at the end of the day we got recognition from CMS that yes CME ought to be recognized as an improvement activity for which doctors get credit towards their reimbursement. It was a huge win for us. The challenge now is spreading the gospel, making sure that folks know and understand, and that they're not afraid of MACRA and the MIPS program but that they see it as the opportunity that we think it is. Tom Sullivan: The problems has been in the past with MACRA is people explain it to a doctor and they use a lot of…government loves acronyms… this has been MACRA, quality payment program…they changed meaningful use to advancing care information… they love to change names and just through acronyms out. I think this is a real opportunity and the CME Coalition has been a real key player in this is a real opportunity to kind of simplify some of what can sound daunting. If someone goes through all of the details he's probably going to be going "Oh my gosh I'm doing to die." If we can help to make it simple so people aren't afraid to do it I think we've got a winner. And harmonize it. The maintenance verification came out and they also had PQRS that they had to do and they're like "oh shoot, I've got to now do two different programs that don't even match" Now, everything is kind of aligning so that you don't have to do 50 things. You can do a CME accredited improvement activity. You can fulfill your MOC Part 4 requirements and you can qualify for MACRA credit at the same time. Alicia Sutton: Absolutely. The harmonization is key I think for clinicians. The website for the Coalition. Andy Rosenberg: Thank you. CMEcoalition.org. It is open and available to the public as a resource for the entire community to learn. We try to put everything that is important on there. Folks can contact me through the website too if they want either more information about how to become an active member in the coalition, which we would love, we're always looking for new members or just to ask questions. We respond to every email we can. Alicia Sutton: I really want to thank you for your time. I know it's an important topic here at this meeting in particular. Thank you for joining us. Tom Sullivan and Andy Rosenberg: Thank you. You've been listening to Lifelong Learning on ReachMD, featuring key insights from the Alliance’s 2018 annual meeting. To download this podcast and others in this series, please visit reachmd.com/lifelonglearning. Andrew Rosenberg and Thomas Sullivan discuss maximizing MACRA’s New QI-CME improvement activity. Join in as Andrew Rosenberg, JD, MP, Senior Advisor of CME Coalition and Thomas Sullivan, President, and Founder of Rockpointe, discuss how CE providers will be able to offer a PI-QI improvement activity under the Medicare Access and CHIP Reauthorization Act (MACRA). They will also address the MACRA law’s physician incentives for quality care under Medicare, a breakdown of the Quality Payment Program and CE Opportunities, the newly adopted QI CME Improvement Activity, and more! What is the Connection Between CE & Future Healthcare Professionals Behavior?